We are not called “People of Action” for nothing! The Rotary Club of Newlands spent over R4 million in the 2017-2018 Rotary year (June – July) assisting 24 projects in our local community. Browse through this list of some of the bigger projects we have or are currently working on. If you are a business or a CSI Manager looking to partner with us to disburse your CSI funding, please contact us here. Rotary International is one of the highest rated non-profits in the world in terms of financial governance, transparency and accountability. Find out more here. 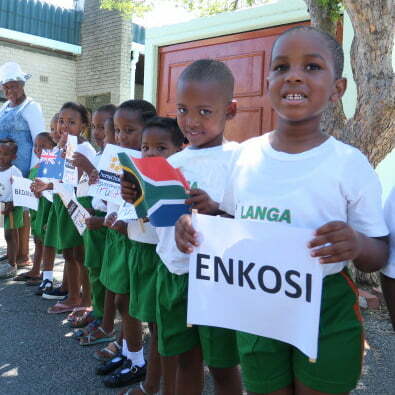 This project is a 5 year vision from 2018 – 2022 which will target EVERY child under the age of 6 in Langa, striving to provide access to ECD facilities. We also intend to upgrade existing ECDs into “quality centres of excellence” – this includes a water saving, solar energy efficient and recycling component for each centre. It also means working with the community at all levels, not just to increase the uptake from the current 25% of children who currently have access to an ECD experience in the Langa Community. Oppiekoppie is a creche/ECD is Prince Albert Hamlet, approximately 150 km outside of Cape Town. The creche was becoming too small to serve the needs of the children in the community and together with Pinelands Rotary and corporate partner, Coca-Cola Peninsula Beverages, we both fund-raised and project managed the construction of an additional 3 classrooms and ablutions which doubled the capacity of the school. The school has already filled the classes and there is a further waiting list – success builds success! Download the project progress pictures from drawing to opening day. One to One is a fair arranged by community clubs and schools that offers the intellectually disabled a fun and engaging day out with loads of activities and entertainment. 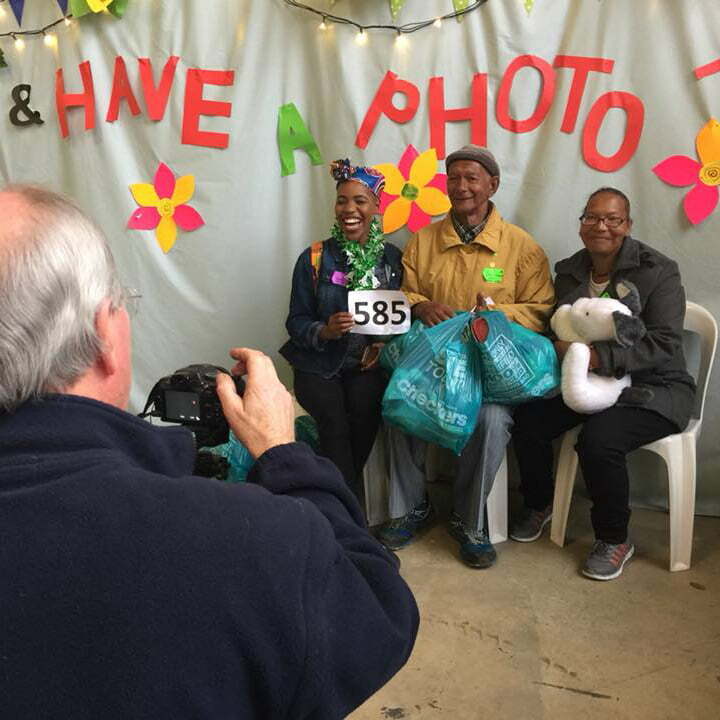 Newlands Rotary runs the photo booth where visitors can have their photos taken and printed out as a keepsake of the day! It is an especially rewarding one-to-one experience. Newlands Rotarians come together to package meals for those in need. Rice and other dry ingredients are combined into a meal bag that, with water, becomes a highly nutritious vegetarian meal. These pre-packed meal bags are then collected and distributed at schools, orphanages, clinics or vocational centers. 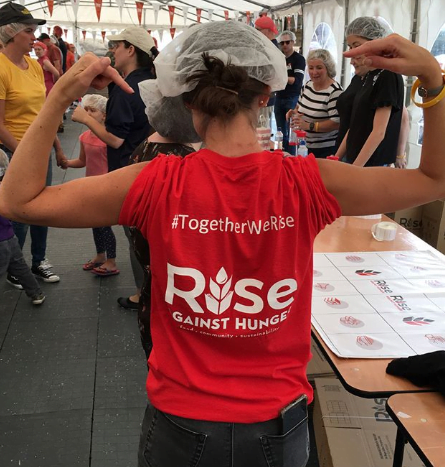 In 2018, Rise Against Hunger packaged 76.9 million meals worldwide, 60% of which were distributed to children. 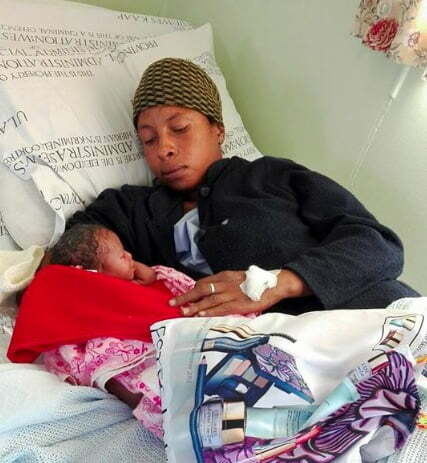 NGO servicing Retreat Maternity & Obstretrics Unit offering assistance with birth, wide ranging pregnancy and birth related counselling, education and information, feeding schemes, adoption services, antenatal classes and newborn clothing support. Newlands Rotary donated two container units to help expand their services and support. 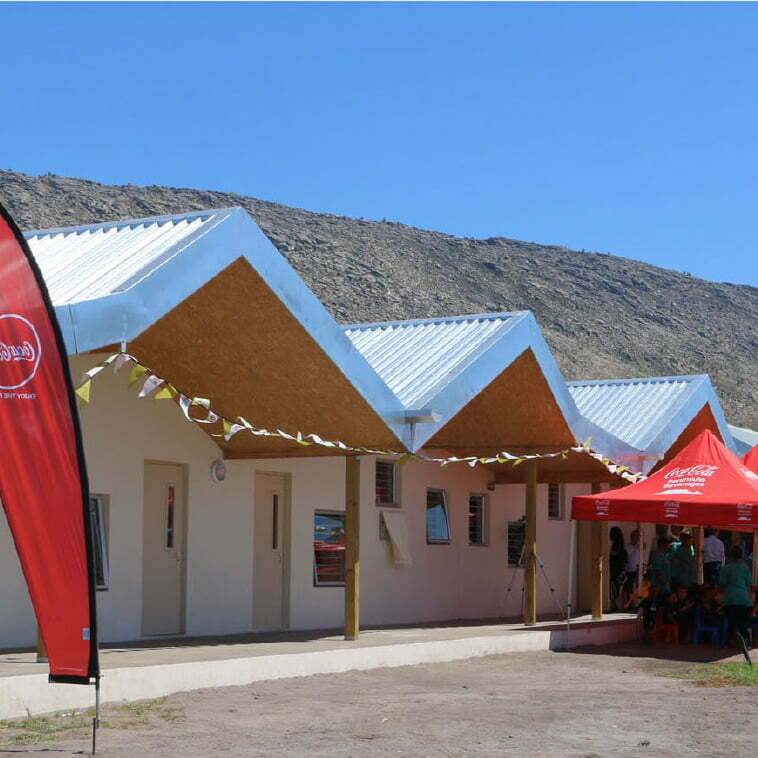 Thanks to a District Grand of R30 000.00, we were also able to build a roof over the outdoor waiting area to ensure that moms and babies are kept warm and dry in winter weather. iThemba Lethu provides a quiet and safe space for LEAP Science and Maths and other Langa students to study and access internet facilitates after school and on weekends. LEAP past students also use the facility to access information on jobs, careers and further study. The learning centre is staffed by a diverse group of tutors drawn from LEAP past students, qualified African refugees from the Democratic Republic of Congo, Burundi, Botswana and Zimbabwe, South African professionals and volunteers. Operating in the community of Lavender Hill, PAB offers the community an after-school programme, a women’s support programme, the Renee Roman Search and Rescue Team as well as an Emergency Safe House. Founder, Lucinda Evan’s dream of protecting and empowering abused women and children was realized when she witnessed a crowd gathering around a man beating his wife in the street. People were watching, yet no one was doing anything to stop the violence. 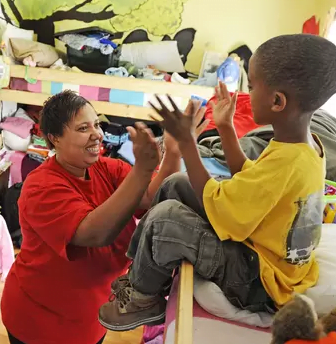 Today PAB offers hope and a place of safety for women and children from across the Cape Flats. The Noluthando Special Needs School in Khayelitsha opened their newly built Treatment & Assessment Centre on Friday, 7 December 2018. At a cost of R2.6m the Centre provides capacity for specialist therapy treatments to learners. Approximately 300 children currently benefit from the special needs facilities that are aimed at educating hearing impaired and autistic learners (ASD). 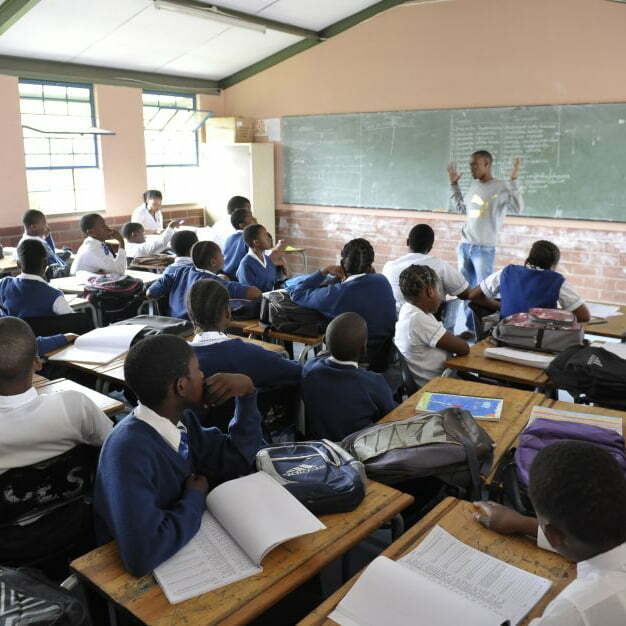 The school asked The Rotary Club of Newlands, which has supported the school with several additional facilities over the past years, to design, obtain funding and construct the dedicated building from which services could be accessed.